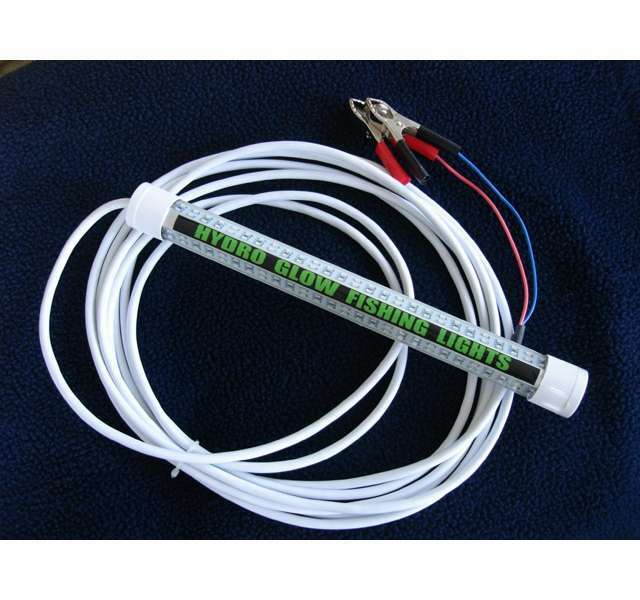 The Hydro Glow Fish Lights patented design utilizes the green light technology for improving your bait catching during the night. The light is designed to vertically be submerged with only the top 3 to 5 inches of the light above the water level. This makes it so that the majority of the light is cast through the water. The luminating effect of the green light in water is far superior to other colors of light. This effect allows the light to penetrate farther. The superior light penetration and design provides a way to attract more fish without the device floating and shining only a portion of the light. 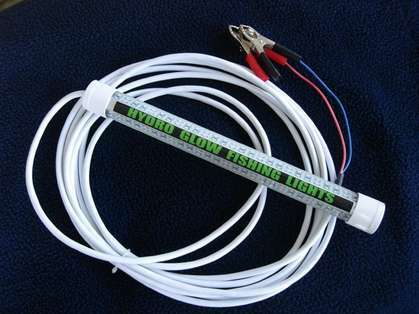 The Hydro Glow Fish Light is made to stand up to the rigors of salt water fishing as well as fresh water. The bulbs are factory rated for 20,000 hours use to provide years of great fishing enjoyment. The lights have proven to be effective in catching such salt water species as speckled trout, red fish, and a variety of other salt water species. The species of fresh water fish that are attracted to the lights are any species that are traditionally active at night and feed on other fish. This led is tremendously bright. I bought the 4' blue model and the output is unreal. Well built.